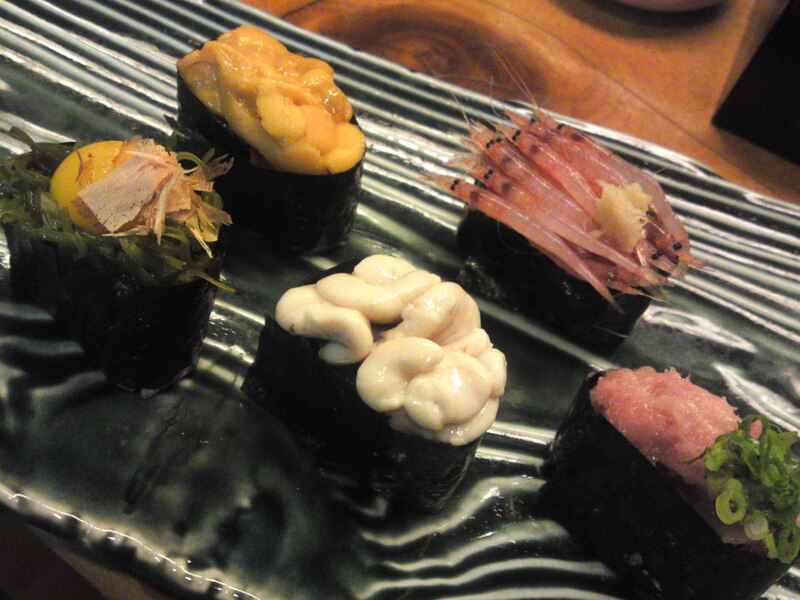 Sushi Design by Chef Kenta Birukawa at Sushi Ko in Shizuoka City: Gunkan Feast! Last night we visited our favorite sushi restaurant in Shizuoka City, Sushi Ko, and have once again challenged Chef Kenta Birukawa/尾留川健太さん into something different! 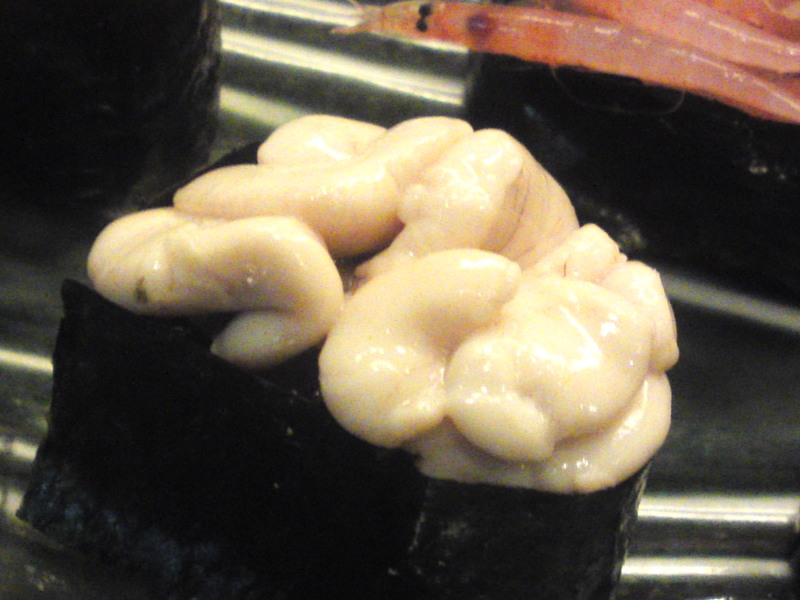 We just asked off the cuff to produce five dufferent “gunkan/軍艦/”Mothership” sushi nigiri but we attached no conditions to ingredients! Now, what did he offer us? Once againn, can you guess? 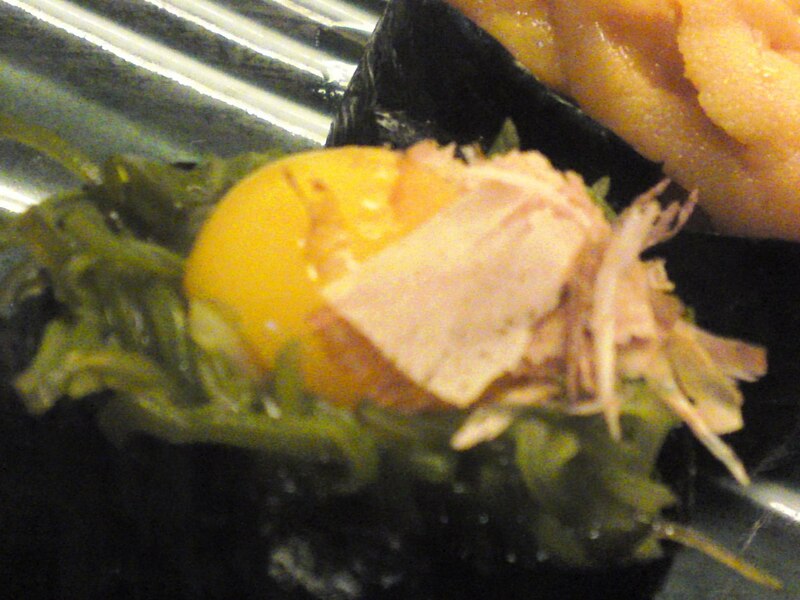 Mekabu Seaweeed/和布蕪, Uzura Tamgo/Quail Egg/鶉卵 and Katsuobushi/Dried Bonito shavings/鰹節! 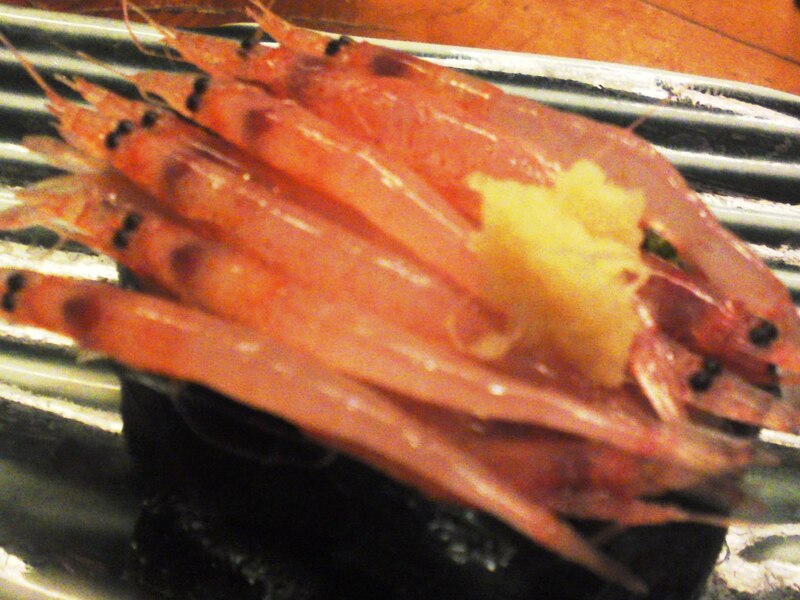 Now, you can have this fresh only in Shizuoka Prefecture: Cherry Shrimps/Sakura Ebi/桜海老! 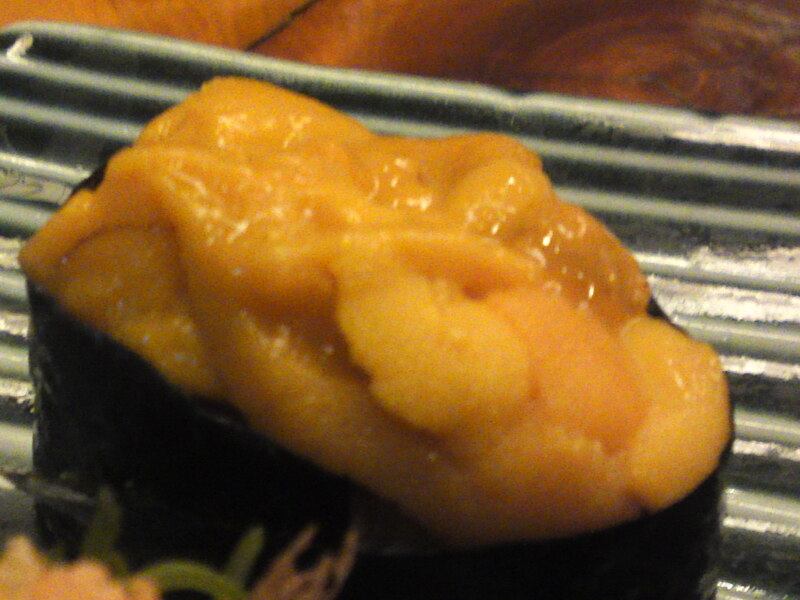 Served with grated fresh ginger! 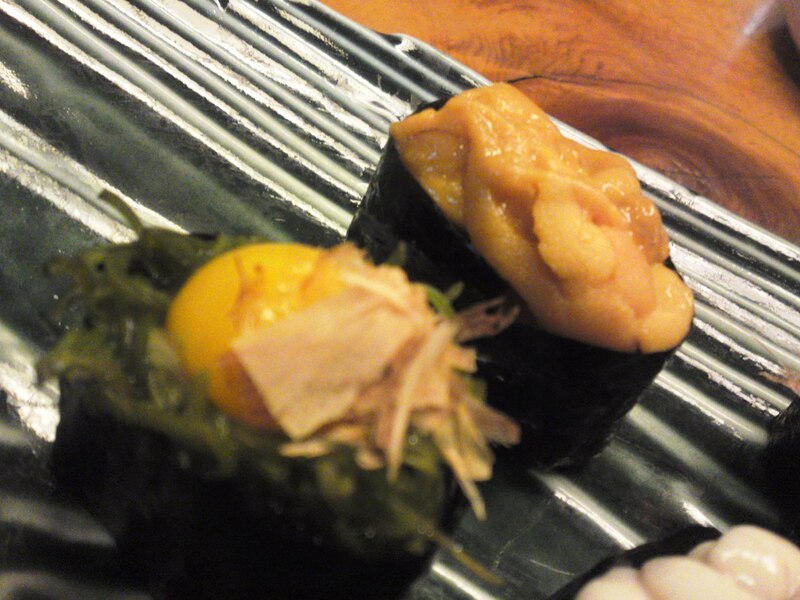 Another Sushi Design by Chef Kenta Birukawa at Sushi Ko in Shizuoka City coming very soon! 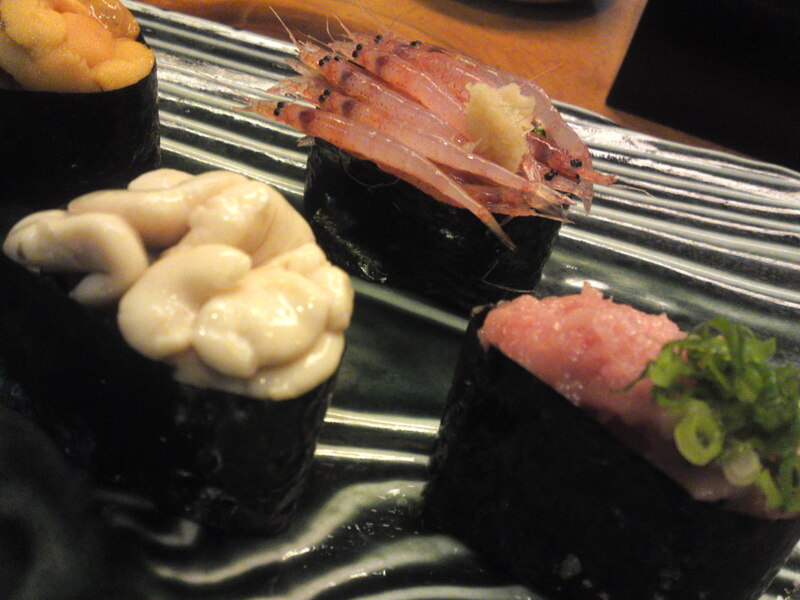 Previous PostSushi Gastronomy: My Best 10 sushi (and extras!) 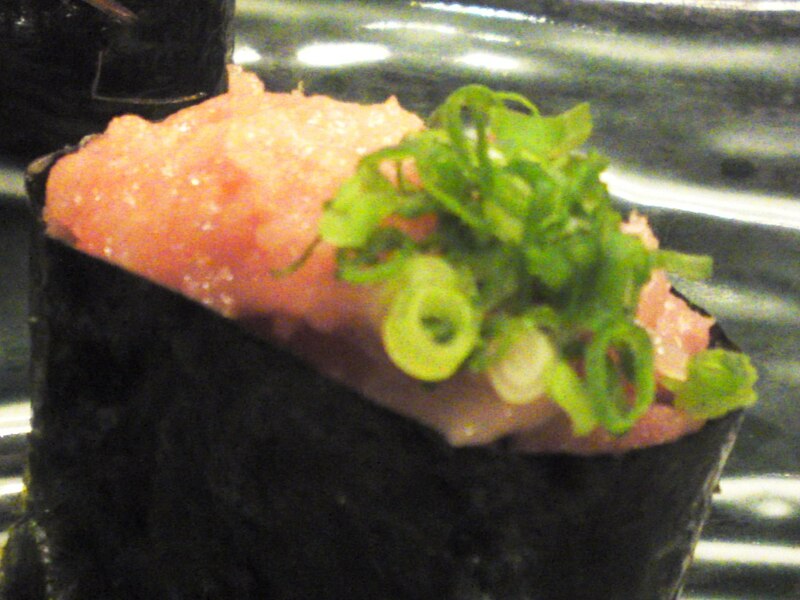 in Shizuoka in 2012!Next PostSushi Design by Chef Kenta Birukawa at Sushi Ko in Shizuoka City: Sushi Charlotte!